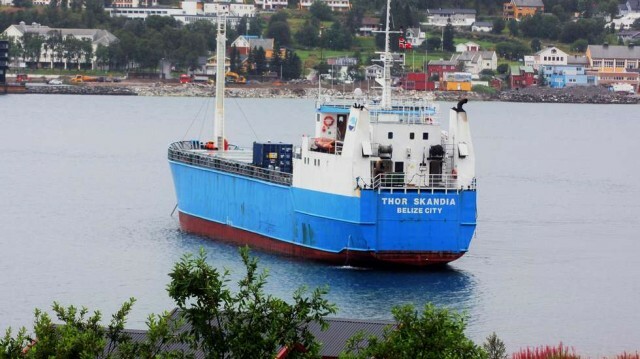 The 63 meter long general cargo vessel Thor Skandia suffered engine failure off Solstrand Quay in Tromsø, Norway. The vessel had gone adrift before the crew was able to drop anchor and request assistance. The tug TB Lupus arrived on scene and took the Thor Skandia under tow. The vessels then proceeded to Solstrand. No reports of injuries, damage or pollution released.